We just love the uniqueness of these hand airbrushed bells from Trimobil! 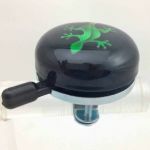 Each one has its own personal touches and is therefore YOUR personal bell. 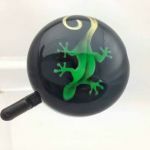 This striking Gecko bell makes such a vivid statement and is sure to complement your bike.